As a homemaker, you can become a little isolated. You spend most of the day at home or carting around the kids. You might work outside the home or work at home but you need to take care of your family too. 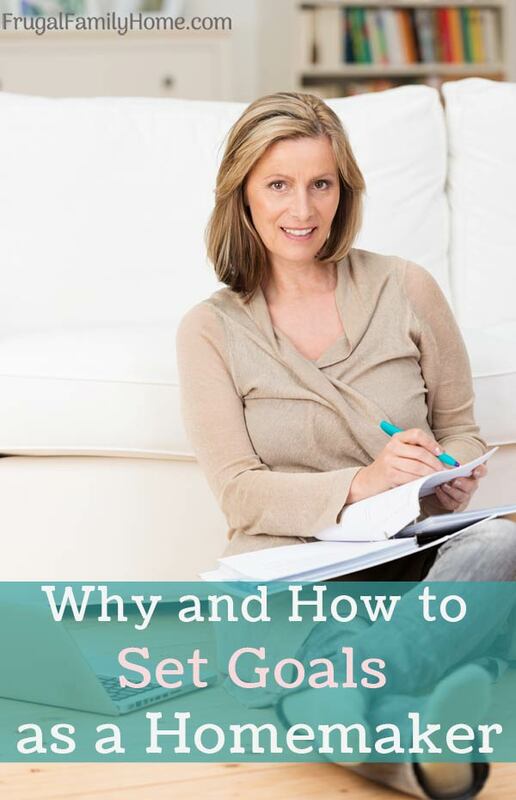 But setting homemaking goals can help you achieve what you want for your family. Do you set goals for yourself and your family as a homemaker? In today’s podcast, I’m talking about goals setting for the homemaker. Before you decide you’re not a homemaker, hear me out. If you care for your family, make the meals, do the shopping, wash the clothes, take care of the house and the list goes on, you are a homemaker. You might have another job outside the home or work from home but you are still a homemaker. Or the CEO of your house. You’re the one that keeps things running smoothly, gets people where they need to go and keep them fed too. As a homemaker, it’s easy to go from one task to another. Getting things done that need to are right there in front of you. But those things may take most of your time instead of the things that are really important. This is where having homemaking goals come in. When you have a goal to work towards, you become more intentional about the things you do and let the less important things fall by the wayside. Have a listen to the podcast below and I’ll walk you through how I set my homemaking goals and how you can too. The notes below are not a word-for-word transcript but more like the cliff notes version of the podcast. 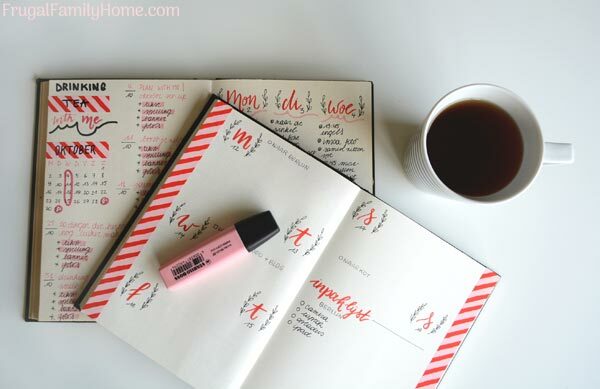 Let’s talk about setting homemaking goals. First, if you work outside the home and take care of your family, you know you have set tasks your boss wants you to do. It’s what makes up your job outside of the home. You might even have goals or measurements set for your job outside the home. This is how your boss or company measures how well you are doing your job. They may set these tasks for you or you might be the one to set the goals. Either way, you have a guide to keep you on track for what your purpose is in that company. Our job as homemakers is to make a safe, comfortable haven for our families to come home to. We might share it with our spouse, or we might take on most of the work. But if there is no intention in building and taking care of the home, it will become stagnant. Having set homemaking goals helps you see where you want your family to be in 6 months, a year, five years and beyond. It helps you to see beyond that pile of dishes in the sink or the mountain of laundry in front of the washer. It gives you direction. What is a Homemaking Goal? 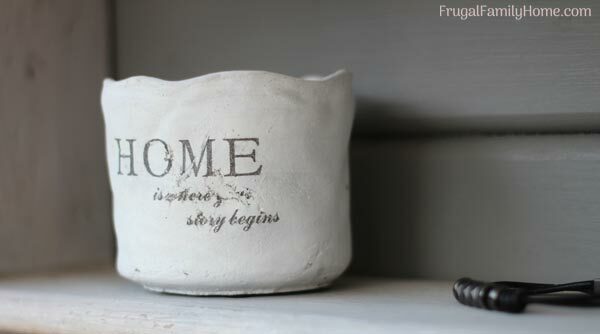 A homemaking goal can be anything you or your family wants to achieve in making your house a home. To make it more enjoyable for the whole family, more comfortable, more manageable. One example of a homemaking goal might be to eat at home as a family two nights a week. Or maybe to keep the sink free of dirty dishes every night before bed so you wake up to a clean sink and kitchen each morning. Or it could make changes to how your family spends money each month so you can save up for a once in a lifetime vacation before the kids are grown up and move out of the house. Each family and each homemaker will have different goals for the stages of life they are in. If your kids are little, getting them to do one chore each day to help around the house might be your main homemaking goal. If you are deep in debt, your goal might be to reduce your debt by 50% in the next year and a half. It might be to set up systems so everyone in the household can help with the basic chores and keep the house running smoothly instead of it all falling to one person. All of these would be great homemaking goals. Now you have a homemaking goal or two in mind let’s talk about how to make those goals a reality. It’s easy to pick a goal, then think about it, and work towards it for a week or two or even a couple of months. But when you don’t feel progress is being made, it falls by the wayside. Then is forgotten. Kinda like those new year’s resolutions that fall by the wayside come spring. Let’s not do that with our homemaking goals. The best way to achieve a goal is to make a good plan. We want to take our big goal and decide what steps we need to take over the next 12 weeks to work towards that goals or goals. I like to only take on 3 goals each 12 weeks. If you take on too much too fast, you’ll end up burning out and then nothing may get achieved. It’s better to stick with one to three goals at a time. The goals may take longer than 12 weeks to achieve but make a plan of what you’ll work on for 12 weeks at a time. An example is eating home-cooked meals each night instead of eating out. Only eating out when you’ve planned to eat out. Here’s an idea of how I might make changes for our family over 12 weeks to reach our goal. I know it always helps me to have an example and I hope it helps you too. ✳︎ The first week might comprise cutting back on eating out one meal the first week. ✳︎ The second week if the first week was successful is cutting back on eating out another meal or two. ✳︎ The third week you might make a plan for the meals for the week, including which meals you’ll eat out. ✳︎ The fourth week you might make your meal plan and shop on certain days so you are prepared for the week ahead. It may also include a few convenience food meals to make cooking at home even easier. ✳︎ Week five might follow the meal plan for each day and include a way to eat up leftovers so they don’t go to waste. ✳︎ Then week’s 6-10 might consist of sticking to your meal plan and shopping each week to make it become a habit. And making a list of all your family’s favorite meals to make to make meal planning each week even easier. ✳︎ Week 11-12 might include adding new recipes that family members find to try and adding new meals to your meal planning recipes list. As you can tell by this plan, you slowly change your habits and build towards your goal of eating at home and only eating out when you plan to. By slowly making changes you can move your family towards the goal and everyone can help. Give everyone in the family a say on a dinner for the week. Let them pick their favorite meal to add to the family favorites meal list. When you involve the whole family, everyone feels invested in working towards the goal and you get less resistance. The best way to be successful at homemaking goals is to get everyone involved and invested in attaining the goal. If one person’s resolve wavers at one time another can keep working towards the goal. After 12 weeks evaluate how you are doing towards your goal. Do you need to plan another 12 weeks or have you achieved your goal? Start the process over again with a new goal or continue working toward the goal you’ve been working on. Making lasting chances for your family is hard work. It takes time. And it’s easy to get frustrated at how very slow the process might be. It’s easy to get frustrated and start that negative talk in your head. You know that disapproving voice that tells you what a failure you are and reminds you how many times you slipped up. Don’t do it, give yourself grace. Lasting change takes time, and it’s a process. I know I’m one that wants to have instant gratification. I want to put the work in quickly and get to the end goal quickly. But most homemaking goals take time to achieve and become habits. Once the habit is set, it’s so much easier to stick with your goal because now it’s a habit. Just something you do. As a homemaker to keep our homes running smoothly and to make progress toward what we ultimately want for our families, we need to set goals. 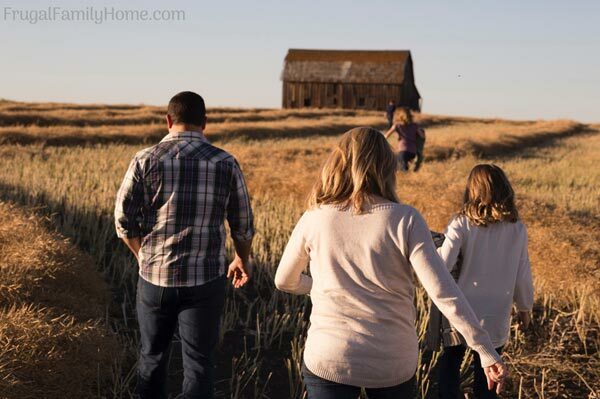 Making homemaking goals can help us work towards the home we want to build for our family. A little each day, each week, each month, and each year. As we build the home life we want our families will be all the better for it too. Take the time today to make your homemaking goals and build the home life you want. What homemaking goals do you plan on tackling first? I’d love to hear about it in the comments below. I try to set goals for myself, but they often do fall by the wayside, and then I think to myself, why bother? 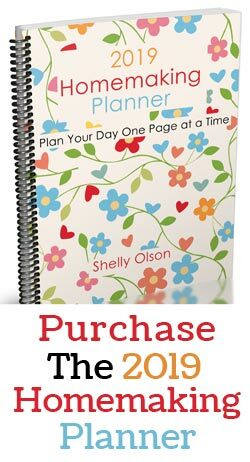 But you are right…planning goals really do help! Thanks for all the encouragement to keep going!